Even with emo thrusting shoegaze into a new realm of modern exposure, a band like Cloakroom still refuse to sit comfortably within even these new confines. After all, shards of emo might be present in this trio’s sound, but all too often they seem more content with bypassing that completely in favour of monolithic stoner-rock and slowcore for a much different, much more punishing beast. It makes second full-length Time Well seem like a more extreme next step in terms of shoegaze, trafficking in heady, heavy atmosphere, snarling basslines and deep-set vocals placed so far back they could easily be confused for a blur in the mix. It’s definitely a daunting listen that can be difficult to really get to grips with, a notion that wouldn’t be surprising if Cloakroom themselves share. For an album that clocks in at over an hour, Cloakroom don’t exactly have much variety, and on a track like Sickle Moon Blues which is stretched to seven-plus minutes, its drifting out of focus into a hazy drone doesn’t quite accomplish the ongoing mood they set out for. That’s not to say it never works though, as Cloakroom prove to be far more adept at dynamics than an often restrictive shoegaze tag would hint at. The gossamer jangle of Big World might provide a moment of light, but waiting in the wings to ether it are the carved-in-stone grooves of Concrete Gallery, and especially Seedless Star built up from alternating passages of gentle guitar work and crushing, smoked-out riffs. The final product mightn’t equate to much in the way of real variety, but Cloakroom make the most of everything they throw into their pot, and at its best, Time Well throws out some moments of true beauty. But where Cloakroom’s greatest asset shines through is in their ability to create such a hypnotic atmosphere that it’s hard to let any attention shift. It’s pretty much an omnipresent feature of Time Well, even when the songs do begin long, mostly due to such a solid melodic backbone. Guitar lines are liquid and careening in their cycles across each track, and Doyle Martin’s vocals have a glazed over, weightless quality that’s an immaculate partner for the actual music. It reaches a point where tracks like Hymnal and 52 Hz Whale that fall into a fairly standard mould are just rescued from being filler, purely because of how enrapturing the way they’re crafted is. While that might be the case though, Time Well can’t pass beyond good, mainly because it’s appeal is limited to a soundtrack to wash over certain headphone moments with not much activity engaging beyond that. Still, for what it is, Time Well hits that atmospheric bullseye in spectacular fashion, bringing in some weight to beef up a notoriously anemic genre. It’s certainly an intense listen and one that won’t be for everyone, but it feels as though Cloakroom know that; they’ve pushed on regardless to give atmospheric music that challenge it’s been waiting for. 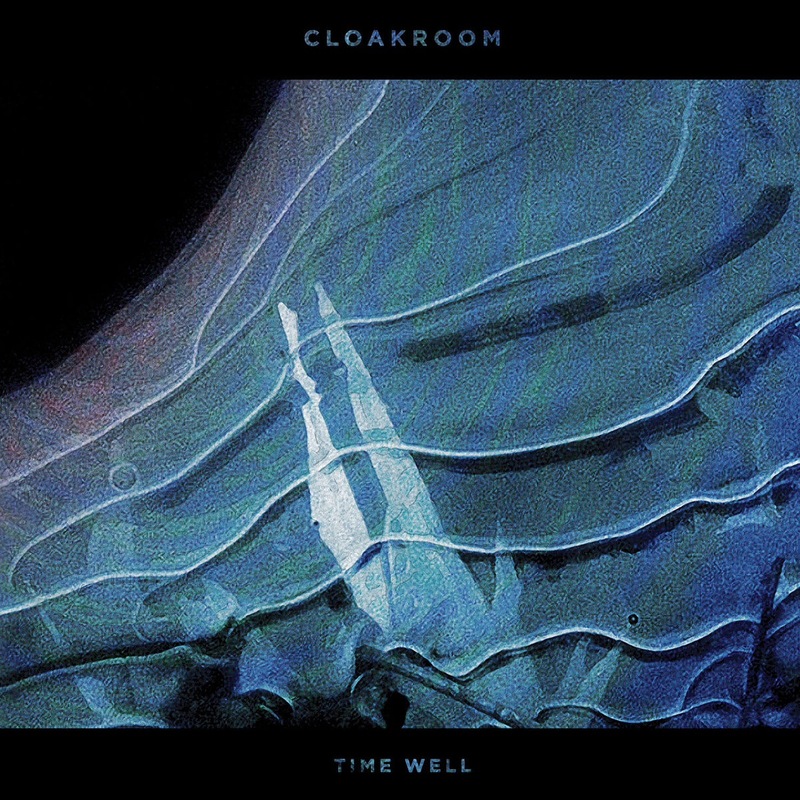 ‘Time Well’ by Cloakroom is released on 18th August on Relapse Records.